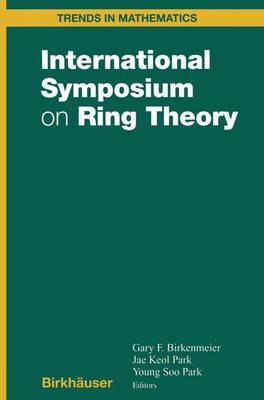 This volume is the Proceedings of the Third Korea-China-Japan Inter- national Symposium on Ring Theory held jointly with the Second Korea- Japan Joint Ring Theory Seminar which took place at the historical resort area of Korea, Kyongju, June 28-July 3, 1999. It also includes articles by some invited mathematicians who were unable to attend the conference. Over 90 mathematicians from 12 countries attended this conference. The conference is held every 4 years on a rotating basis. The first con- ference was held in 1991 at Guilin, China. In 1995 the second conference took place in Okayama, Japan. At the second conference it was decided to include Korea, who hosted this conference of 1999. During the past century Ring Theory has diversified into many subar- eas. This is reflected in these articles from over 25 well-known mathemati- cians covering a broad range of topics, including: Classical Ring Theory, Module Theory, Representation Theory, and the theory of Hopf Algebras. Among these peer reviewed papers are invited survey articles as well as research articles. The survey articles provide an overview of various areas for researchers looking for a new or related field to investigate, while the research articles give the flavor of current research. We feel that the variety of related topics will stimulate interaction between researchers. Moreover the Open Problems section provides guidance for future research. This book should prove attractive to a wide audience of algebraists. Gary F. Birkenmeier, Lafayette, U. S. A.